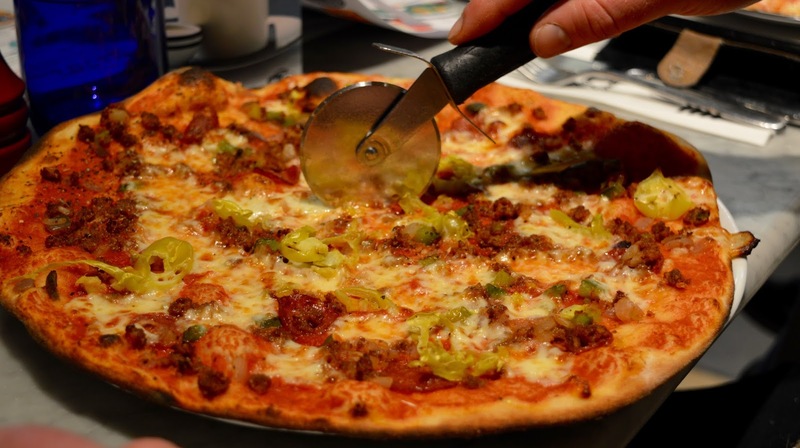 Pizza Express is one of our go-to chain restaurants when out and about, especially when I haven't had a chance to research somewhere and we haven't booked in advance. 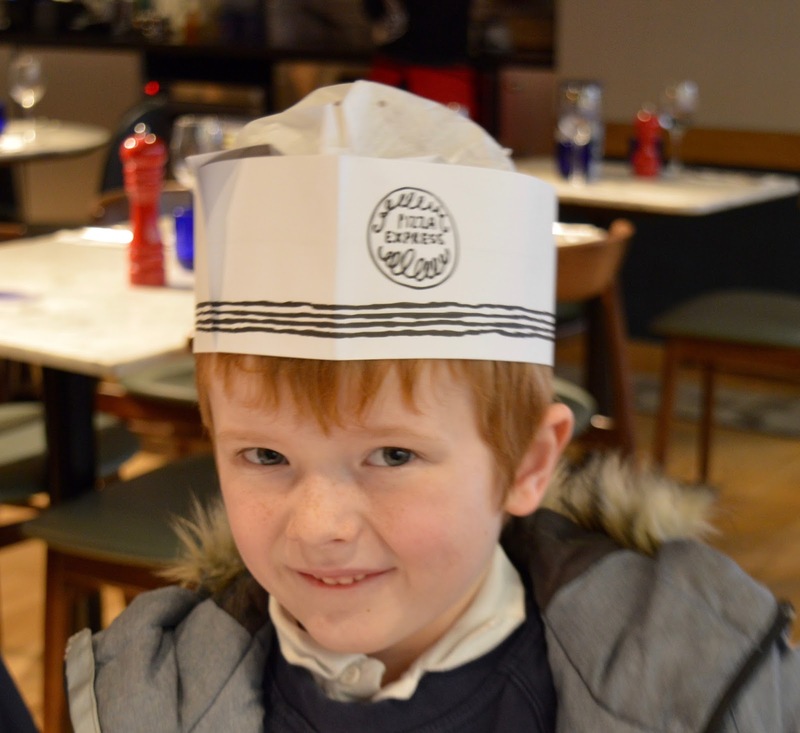 We always know that a) our family will be made to feel very welcome at Pizza Express and b) there will be something on the menu that we'll all enjoy. 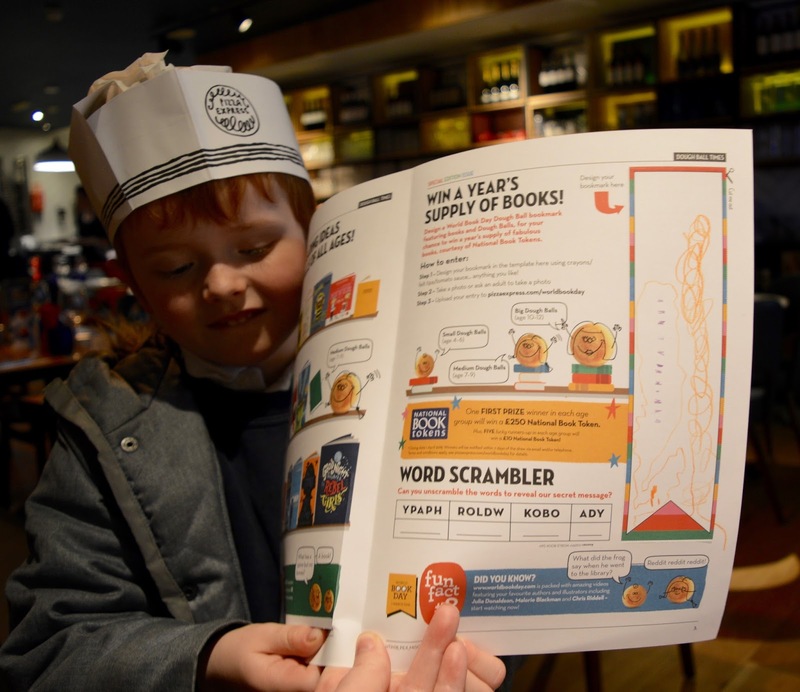 There's even more reason to visit between 9 February and 25 March as Pizza Express is joining forces with World Book Day and publishers in the first collaboration of it's kind. 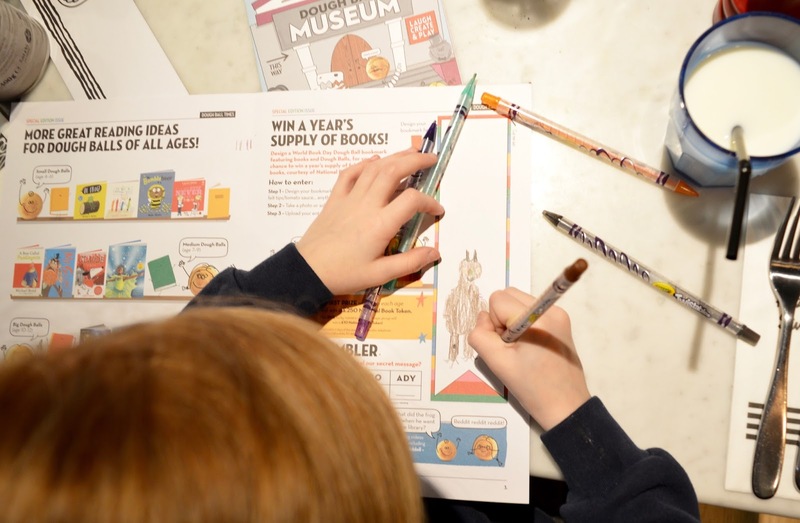 If you visit a Pizza Express restaurant from now until 25 March, you'll find their children's activity packs which are provided alongside the Piccolo menu have been given a special makeover in celebration of World Book Day. 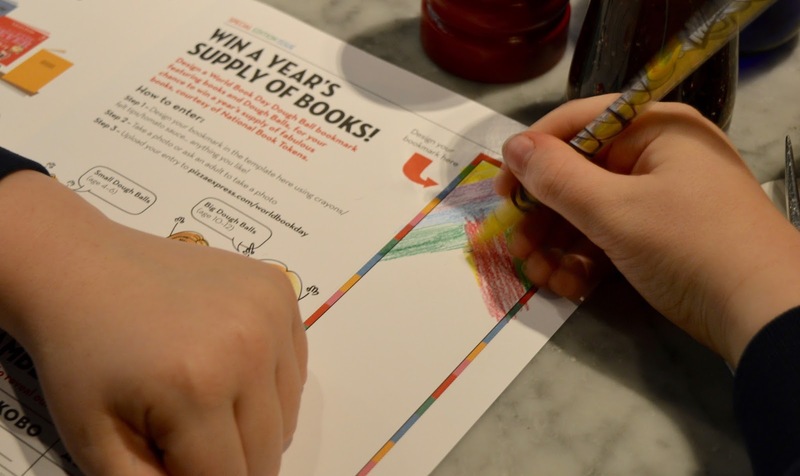 We recently visited Pizza Express at intu Metrocentre and have to say their limited edition WBD-themed Piccolo activity packs are jam-packed with creative activities and there was enough to keep my three children (aged 7, 9 and 11) occupied throughout a full three courses and more. 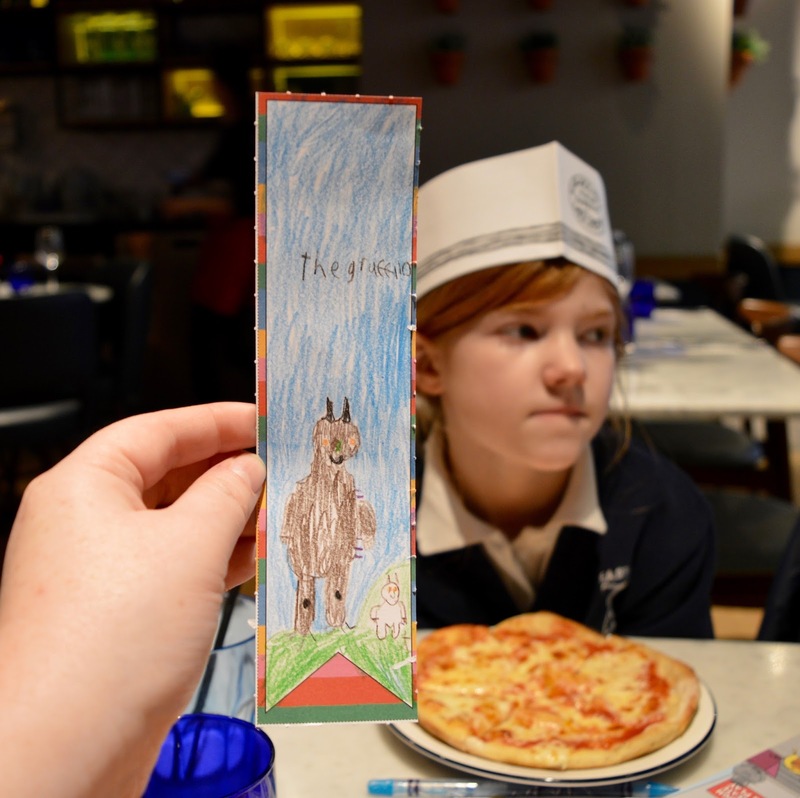 As soon as we were seated, the kids were super keen to get started and particularly enjoyed designing their own bookmark which can be uploaded here for a chance to win a year's supply of books worth £250. 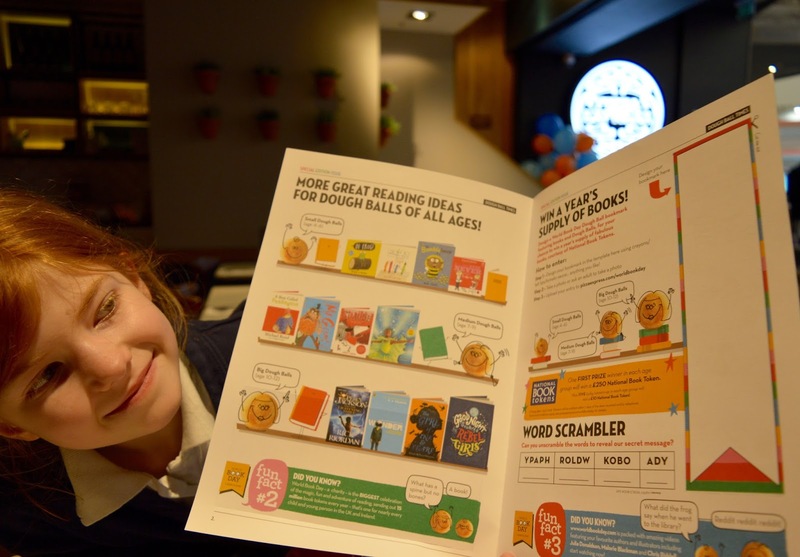 Harry, Heidi and Jack worked super hard on their designs and I love how their bookmarks vary so much - super creative! Heidi's Gruffalo and Gruffalo's Child design was inspired by our recent trip to Kielder Forest. I love all of the little details including the purple prickles and orange eyes - it looks like he's stepped right outside of a Julia Donaldson storybook. Jack decided to create his own special book character - Super Squirrel is a regular sized squirrel with a super-sized tail. He moves around in a hurricane by spinning his tail and the purple dots are apparently magic jewels that can make him turn invisible! 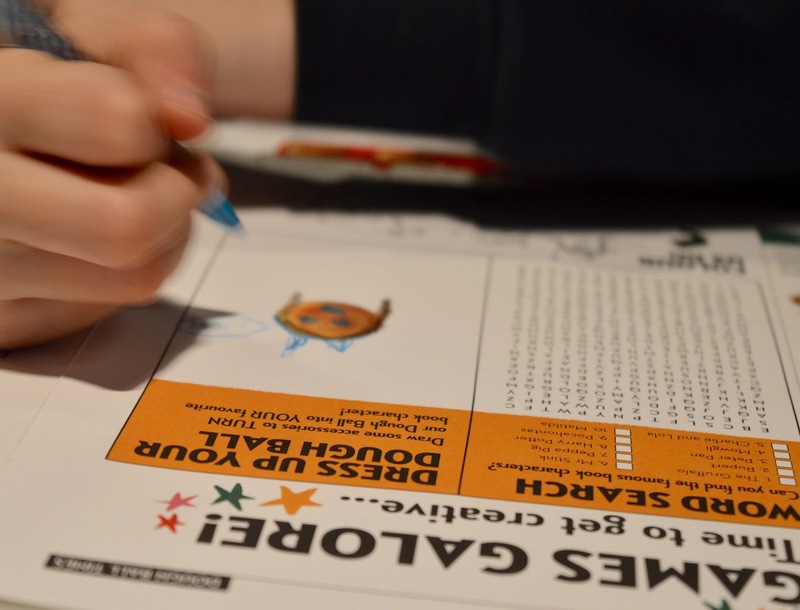 I love how this challenge has encouraged lots of creativity and provides the kids with an opportunity to let their imagination run wild. 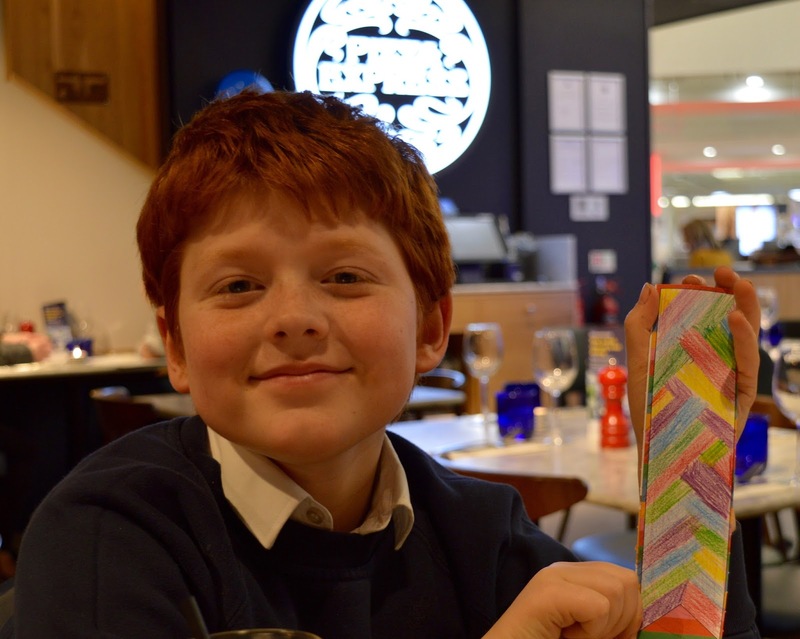 Harry's design was a little different and as a certified maths geek, he decided to create a recurring pattern. He was a little frustrated when he made a mistake but as I explained to him, this means that his bookmark is completely unique which he agreed with. 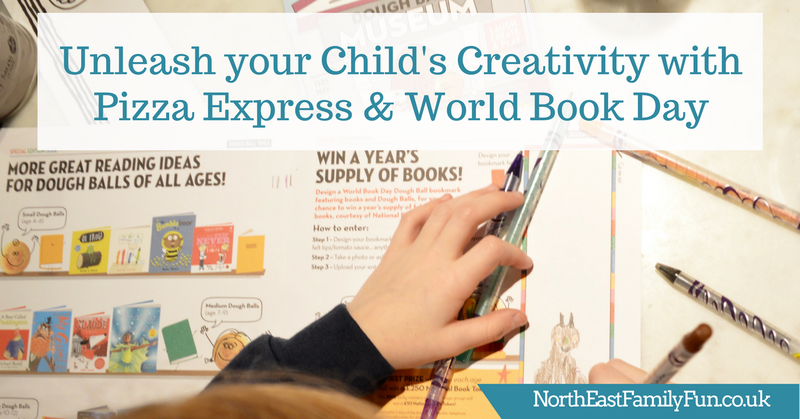 The bookmark also provides a couple of easy to follow tutorials for easy World Book Day costumes - perfect for last minute parents like myself! 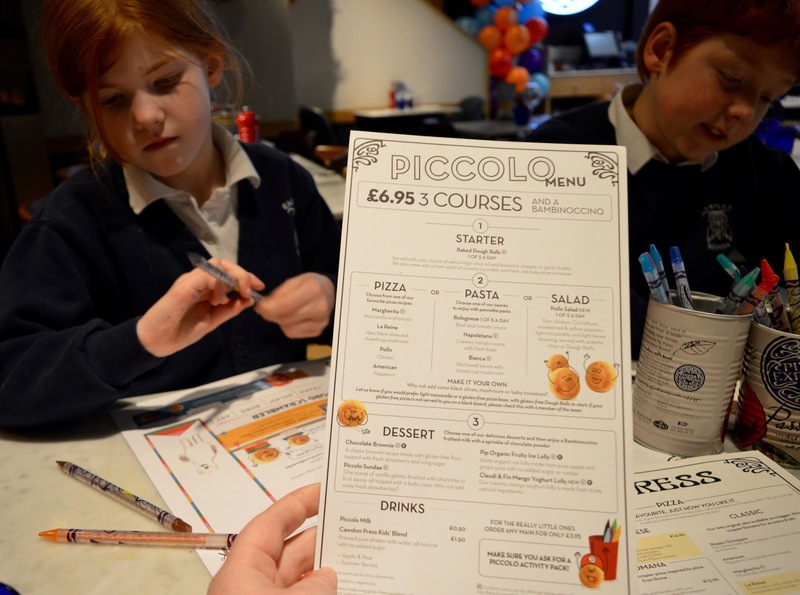 The Pizza Express Piccolo Menu offers fantastic value at £6.95 per child for three courses and a bambinochinno. Service was super quick and friendly and I loved that the dough balls were brought out not long after ordering. My kids are not very patient when it comes to waiting for food and the combination of lots of activities to keep little ones occupied plus speedy service is definitely a winning one. 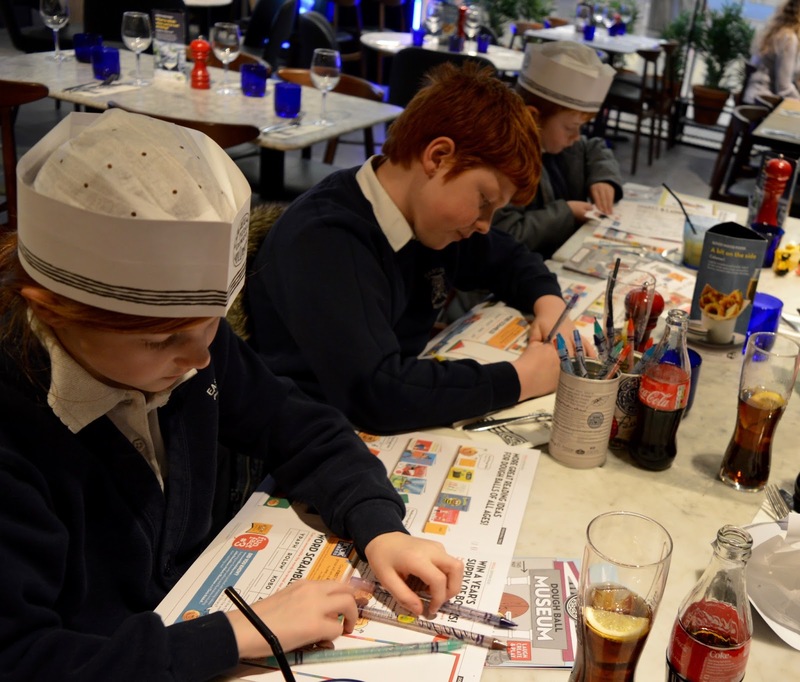 All three kids enjoyed their own pizza for their main course - with a side of colouring to finish off their designs. They all finished the lot and were very happy with their choices. 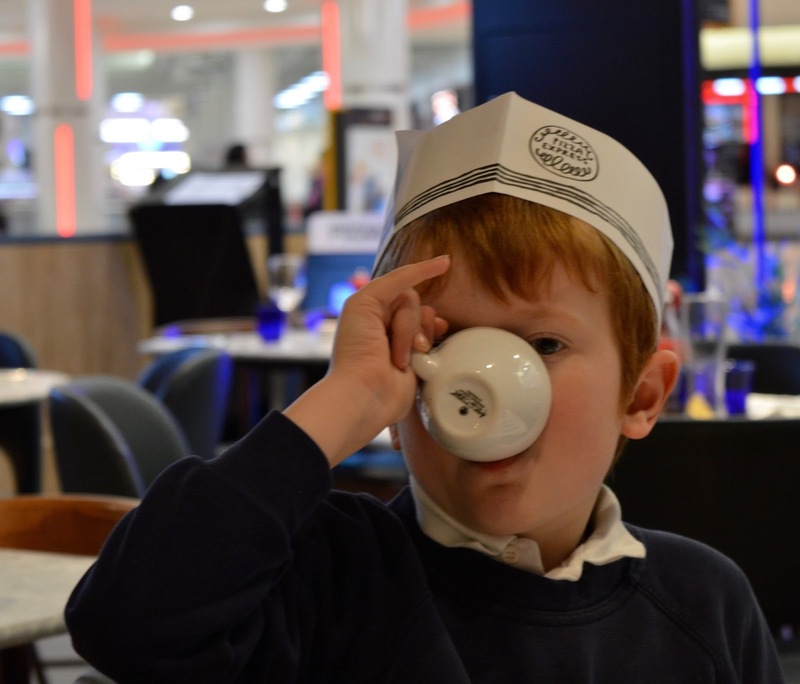 The kids don't often eat dessert at home so it's always a real treat when we eat out. 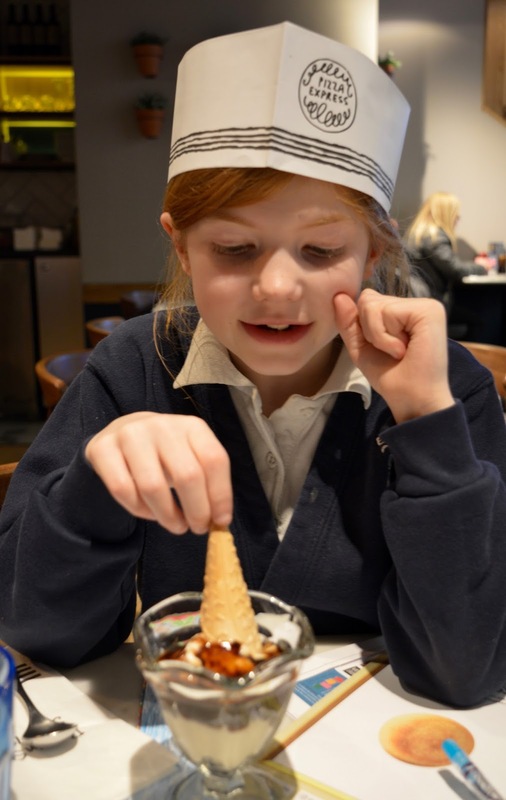 Heidi loved her ice cream which was served with strawberries and chocolate sauce and the boys really enjoyed their chocolate brownie. I didn't order a dessert myself and tried to ask for a little taste but they wouldn't let me! The cheek. 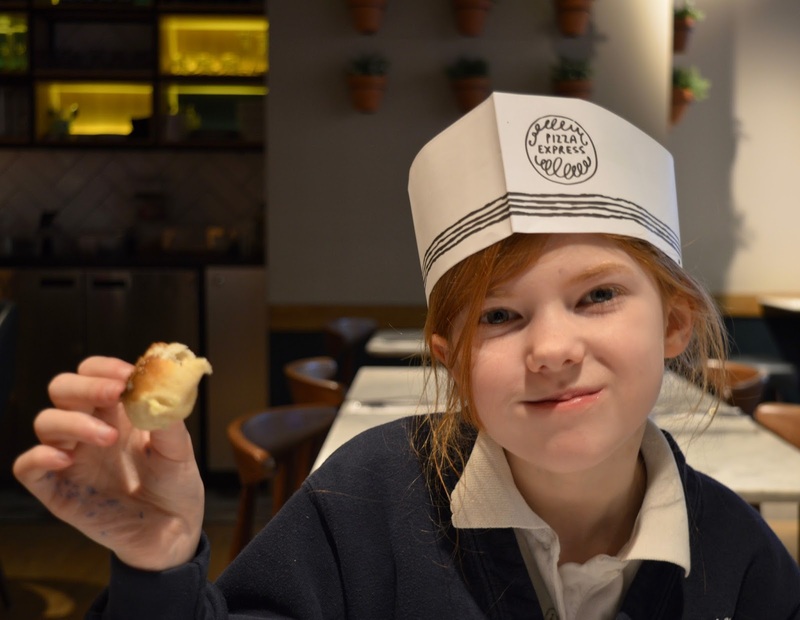 Finally, babychinnos are included as part of the Pizza Express Piccolo Menu and my three always have to order these and insist on drinking them like a proper cup of tea - pinky and all! 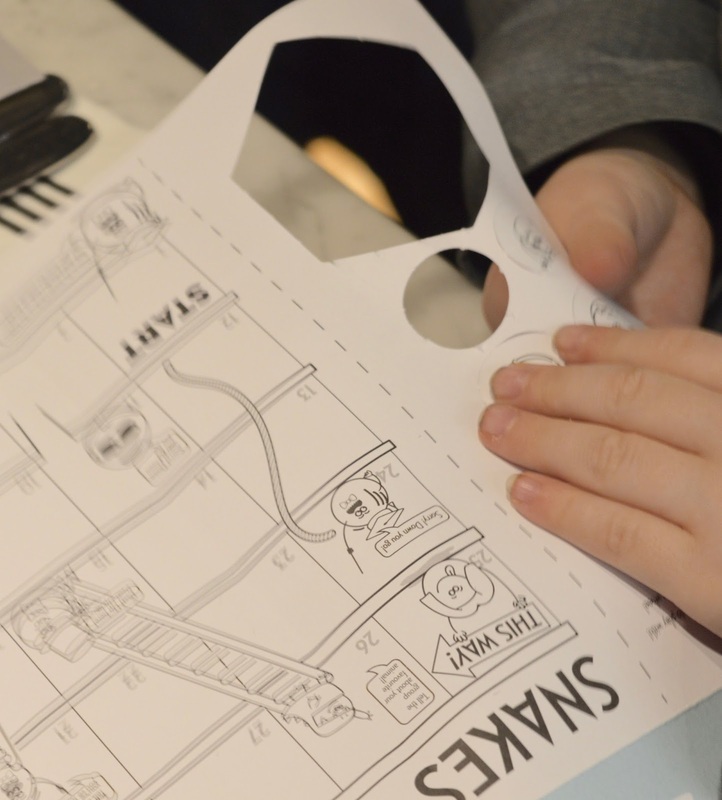 As well as creating their own bookmarks to enter into the Pizza Express World Book Day Competition, the Piccolo Activity Packs contained lots of other activities to keep little ones (and older ones) entertained. 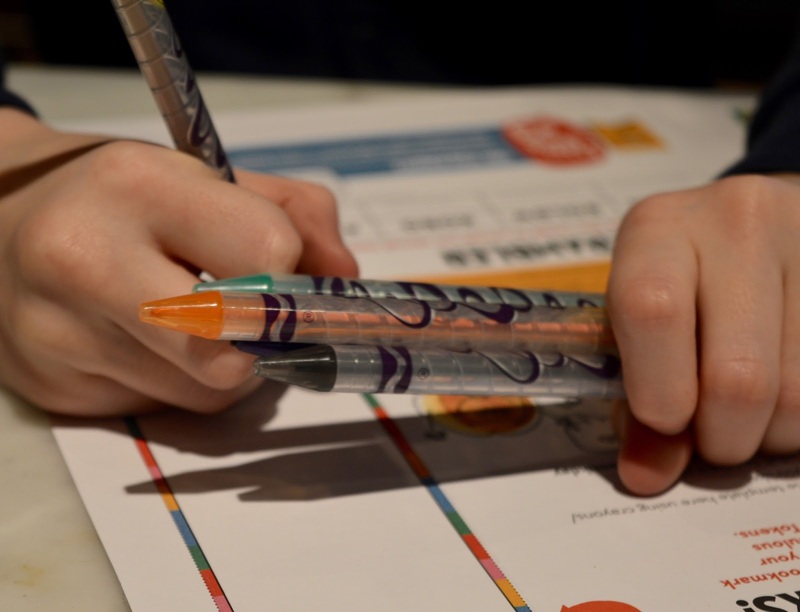 From Snakes and Ladders games to word searches and even a chance to design their own doughball, there was a lot to inspire and entertain between courses. 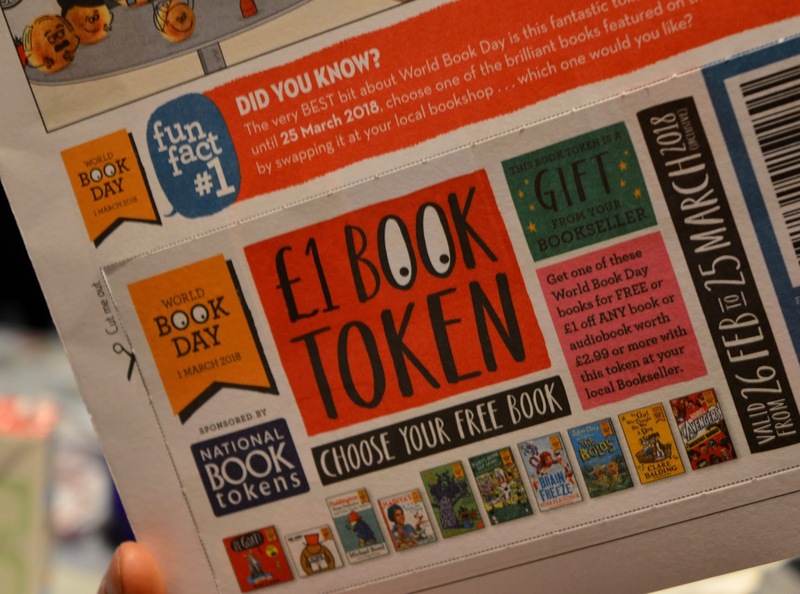 As an added bonus, you'll also find a book token inside the activity pack which can be exchanged for a FREE book from the selection mentioned - there's quite a lot to choose from including Paddington, Claire Balding and the Avengers. We've put our vouchers in a safe place and will be exchanging for a book next time we're in town. What a lovely incentive, encouraging families to share a story like this. Grown-ups aren't forgotten either. 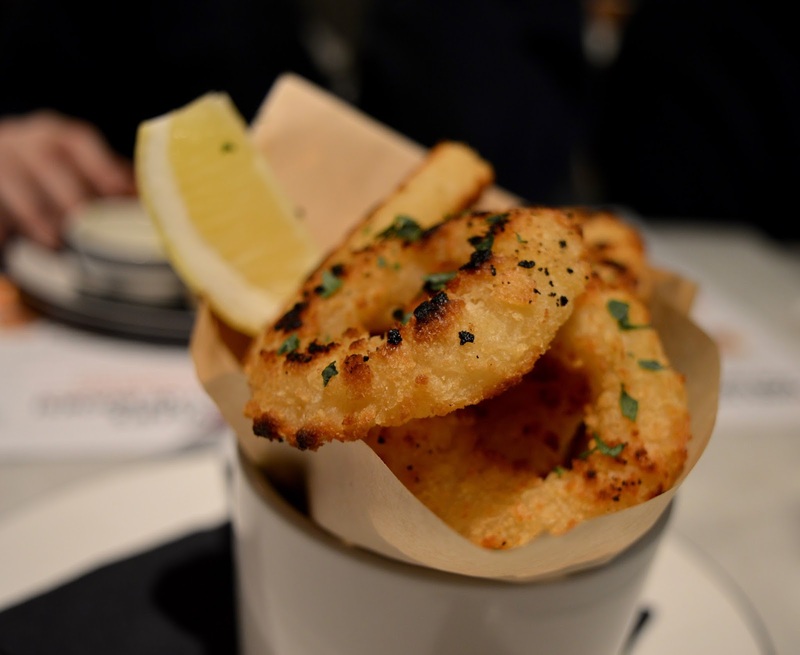 Jack had me creating a dough-ball version of his Uncle who had joined us for dinner and us grown-ups thoroughly enjoyed our Caeser salad, Calamari and Pizzas. 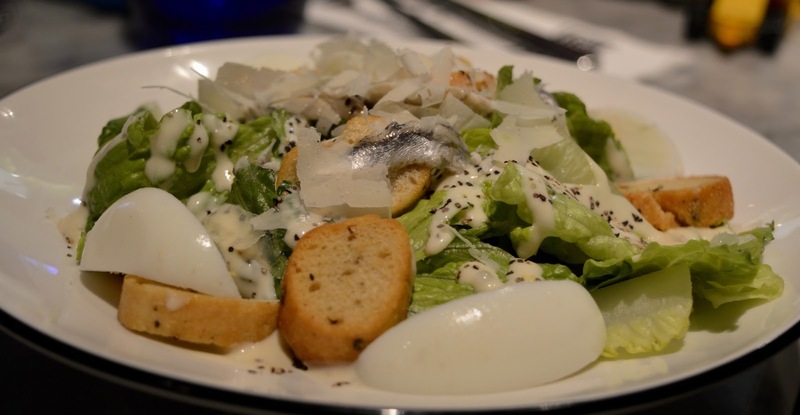 Another reason I love Pizza Express is that they also offer a fantastic healthier menu featuring pizzas and salads under 600 kcals (read our review of this menu here) as well as catering for dietary requirements too (read Canny Food's review here). My brother and I were actually able to have a decent catch-up and conversation over dinner as you can see - the kids were kept very occupied throughout. 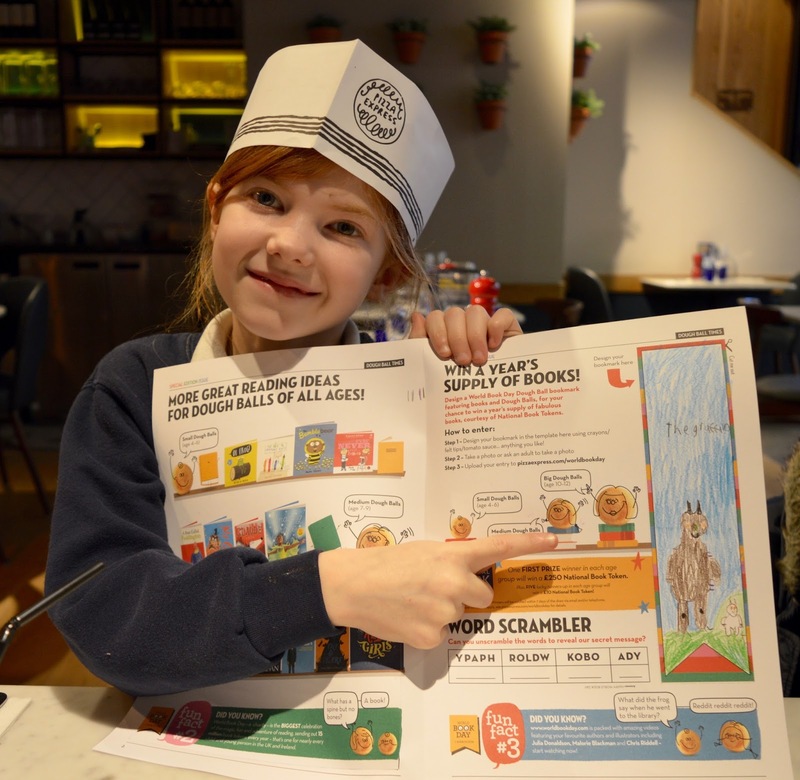 If you'd like your children to enter the Pizza Express World Book Day Bookmark Competition, you can either visit your nearest Pizza Express and follow the instructions before 25 March OR you can download a template and enter via the Pizza Express website here - either of these options are an especially a good option on World Book Day (which is 1 March) where Pizza Express will be hosting their own fancy dress competition and customers can vote for the 'best-dressed' team member. Competition closes on 1 April 2018. 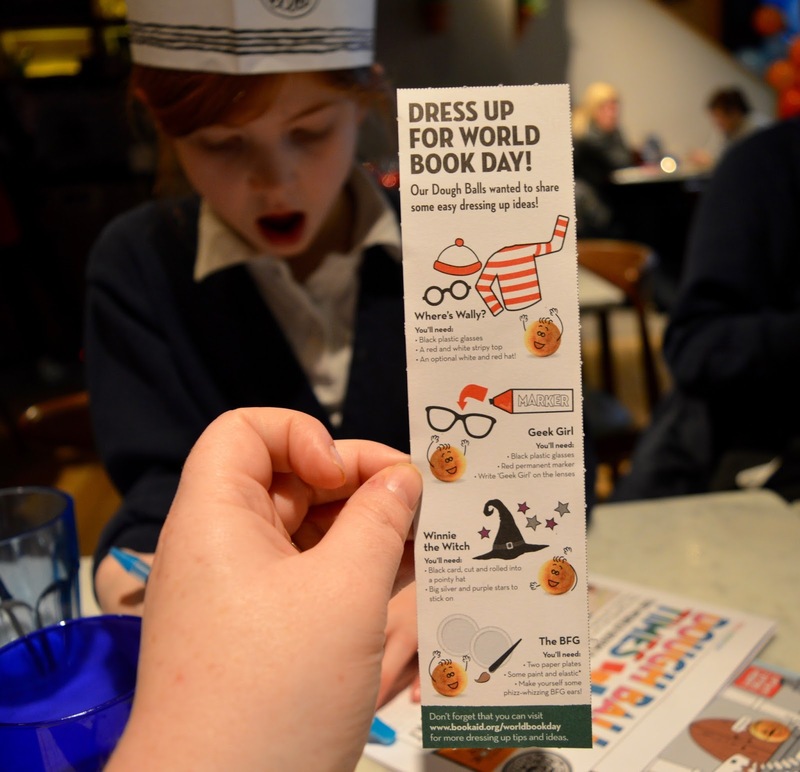 Let me know how you're celebrating World Book Day this year and if I've inspired you to visit your local Pizza Express.